I am often asked by players and parents about the tactics required to beat a pusher – a player that is seen to be less skillful as them or their child and resorts to the ‘second-rate’ tactics of merely trying to keep the ball in play by pushing or moonballing. Although this subject has been covered numerous times I believe that my perspective on the matter will allow you to see this situation in a different light and provide you with a new way of thinking that will help you next time you play a pusher. 1. The ball must be hit firstly over the net and secondly into the court. 2. The player must control their own court space by hitting the ball so they are not out of position, and recover to the appropriate area of court. 3. Play tactically in a way that your opponent least desires you to play. We should not get frustrated or degrade a player because they are able to execute these fundamental principles of tennis. 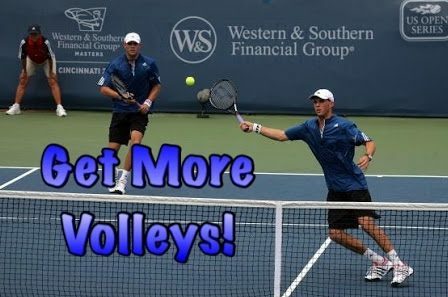 However, it can be frustrating when players, especially juniors, do not possess the fire-power required to get balls past the retriever and are limited in such tactics as approaching the net because of their inability to cover lobs and passing shots. This is a difficult conundrum as we want to see players play the game in an aggressive and creative manor, but this style of play can often create more errors than winners or forced errors. It is important to understand that a pusher is often making very good decisions relative to their skill-set. Rather than being aggressive and taking unnecessary risks that could lead to errors they make more calculated decisions, staying within their comfort zone and hoping for their opponent to provide the errors. The best way for you to beat them is to make sure that your decision making is equal to theirs, which requires you to have the appropriate attitude throughout the match. Note: Many of these skill ingredients will be intertwined. Your attitude towards a particular shot and the game of tennis in general will affect your decision making. The more information you absorb will help your ability to make good decisions, although not guarantee it! The decision always becomes before the action, in tennis as in life, and will always effect the action. As you evaluate a point or your performance in general, you should evaluate the overall skill cycle and not just your technique (action) or the result of the shot. For example, as you get into your car in the morning you may be late for work or you may be out for a scenic drive, among many other possibilities. Your attitude as you get in the car will directly influence your decision making and ultimately the action of how you drive the car. The faster and more aggressive you drive, and likewise the more aggressive you are on a tennis court, the more important it is that you take in the information that will allow you to make a good decision and execute the shot. For example, an aggressive backhand up the line will require you to take in the information such as – are you balanced? What is the court positioning of yourself and your opponent? Basically, is this the correct shot to play? There is infinite information available, and how you process this information can determine the decisions you make and how successful your shot will be. Being too aggressive, too negative, too careful or anxious can all lead to poor execution and possibly a breakdown in technique. Pushing the ball back high and deep requires less precision of these skill ingredients. Quite often the aggressor can get frustrated and this attitude can lead to poor decisions; this is exactly what the pusher is hoping for! The pusher often has a better attitude throughout the match, especially when they look over the other side of the net and see how frustrated their opponent is. This can lead to the pusher making better decisions and frustrating you even more. 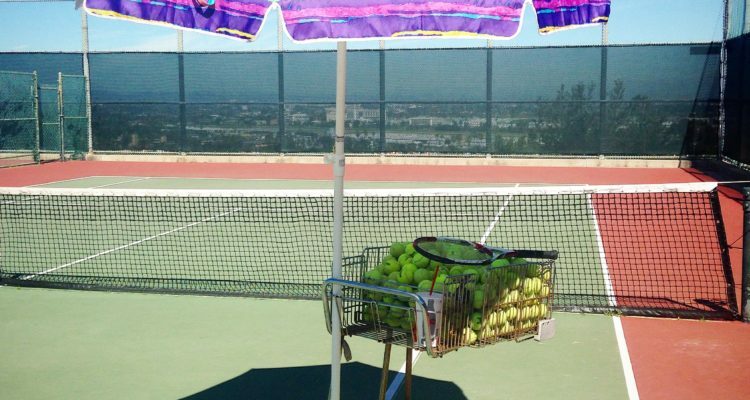 Therefore if you are the aggressor and you are to beat a pusher it is paramount that your attitude is positive; try to avoid getting frustrated and acknowledge that your opponent is actually playing well, they are making great decisions relative to their skill-set and the fundamental principles of tennis. It will take patience from you to break them down. Maintain a positive attitude towards the situation while having the appropriate attitude towards each shot. If you display discipline there is a good chance that the pusher may give you some free points or some opportunities to apply pressure as you are no longer shooting yourself in the foot (their primary goal). Let them know that you can rally all day without getting frustrated and be selective about when you choose to be more aggressive. Before you step on court, come to terms with the fact that the match could take hours and the points may be long. Tactically try to put them in positions where they are uncomfortable – maybe closer to the net where you encourage them to attack. Try to consistently put balls in places where they are unable to do what they want with their shot rather than trying to blow balls by them. Being aggressive when your opponent is giving you no pace can be difficult, so have patience. If you happen to have a bigger arsenal than your opponent, with more variety, and your attitude and decision making is equal to or better than your opponent’s, you stand a great chance of coming out on top! Send me a video of you or your child competing and see how we can work together to provide you with the mental and physical tools to win more matches.